For five years running, Cyclone Energy has claimed the championship at the ELECTRI International Green Energy Challenge, and the team is at it again for 2019. Cyclone Energy is the competition team of Iowa State’s student chapter of the National Electrical Contractors Association (NECA). The student organization is housed in Iowa State University’s Department of Civil, Construction and Environmental Engineering (ISU CCEE). NECA sponsors the competition and invites university NECA chapters to research and write proposals about energy efficient installations and net-zero energy options for a community facility. The Iowa chapter of NECA is Cyclone Energy’s sponsor. This year’s team is working with Heartland Senior Services in east Ames. Staff at the senior services center provides life-enriching opportunities for older adults during the day, including exercise classes, art activities, meals, music groups and dances. They also offer support with the day center for seniors requiring specialized care, such as those with dementia. 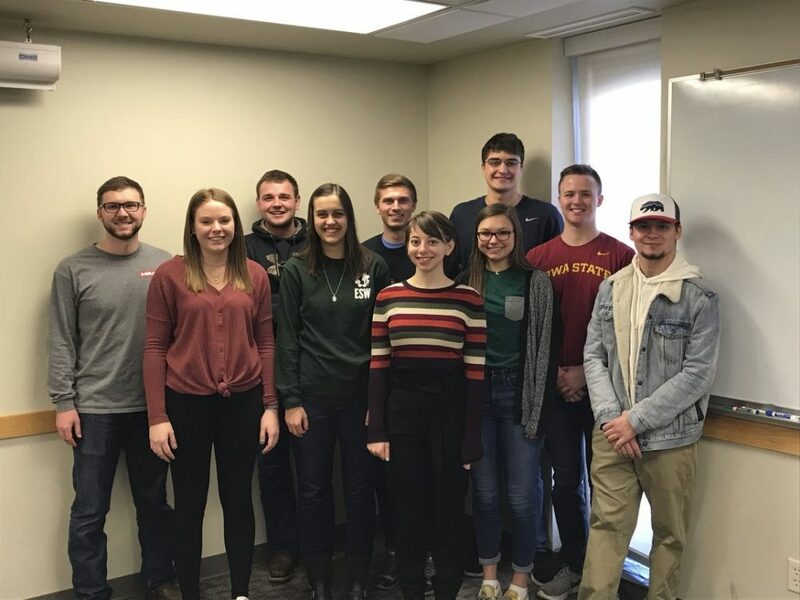 Cyclone Energy is bigger than ever this year, with 10 members on the team, including both construction engineering and civil engineering majors, all led by ISU CCEE Senior Lecturers Beth Hartmann and Jenny Baker. Previous team members are responsible for teaching new members winning strategies and building the foundation for future teams. By working with local NECA contractors to develop the proposal, the team also gains valuable experience and connections for the future. Another part of the Green Energy Challenge includes volunteering and creating an energy awareness campaign for Heartland Senior Services. Cyclone Energy decided to conduct a lunch-and-learn series to educate the senior community about improving energy efficiency in their homes. The center has also requested creation of shelving units and other small maintenance projects with which the team will assist. Green Energy Challenge is more than writing a proposal and volunteering. Blatchford and the team will carry this well-earned pride into the future as they write the final proposal, which is due at the end of April. No matter the results, this competition provides the students with priceless experience for their future engineering careers. Team members include Devin Gaudette, Kayla Youngblood, Nathan Pals, Carisa Moyna, Leo Brocka, Lauren Wibe, Grace Mergens, Jordan Girolamo, Parker Lloyd and Collin Blatchford.